Only a few months back when Samsung Galaxy Note 3 was about to be launched, rumors had it that the device might carry an Optical Image Stabilization (OIS) module. But it did not. Reportedly Samsung Galaxy Note 3 couldn’t carry OIS camera in its case because of insufficient supply of stabilized OIS modules in time of launching. OIS module is considered to do wonderful job with stabilizing images and videos making the hardware feature some very strong and attractive feature specially for photographers. As smartphone photography is at all times high, manufacturers are trying their best to be the best at camera among other hardware features. However, this module is still not considered as a necessity since manufacturers are reportedly having some fair share of troubles. Why no OIS camera for Galaxy S5? 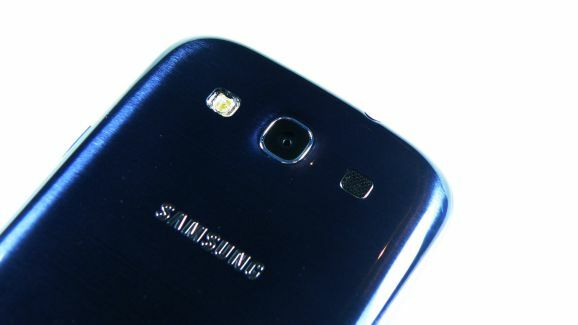 Korean website, ETNews claims that the Samsung Galaxy S5 will NOT have the OIS either. According to the claim – backed up by an anonymous source, of course – OIS camera modules are thick and might not fit in the slim Galaxy S5 smartphone. Another reason being cited is the lack of scalable supply to meet the high volume of Galaxy S5 device supply. Earlier, Samsung Galaxy S5 rumors suggest that Samsung’s next flagship will sport a 16MP camera, but there have been no mentions of Galaxy S5 OIS camera module. Samsung Galaxy S5’s release date is speculated to be early next year in the first quarter. The device will carry 16MP camera unit along with many other strong hardware features including 64-bit processor, 4,000 mAh battery, and a 3GB of RAM. Samsung Galaxy S5: Finally Some Smartphone Features for Parents! Samsung Galaxy S5 Specs Confirmed: Super AMOLED Display, Snapdragon 805, and More!